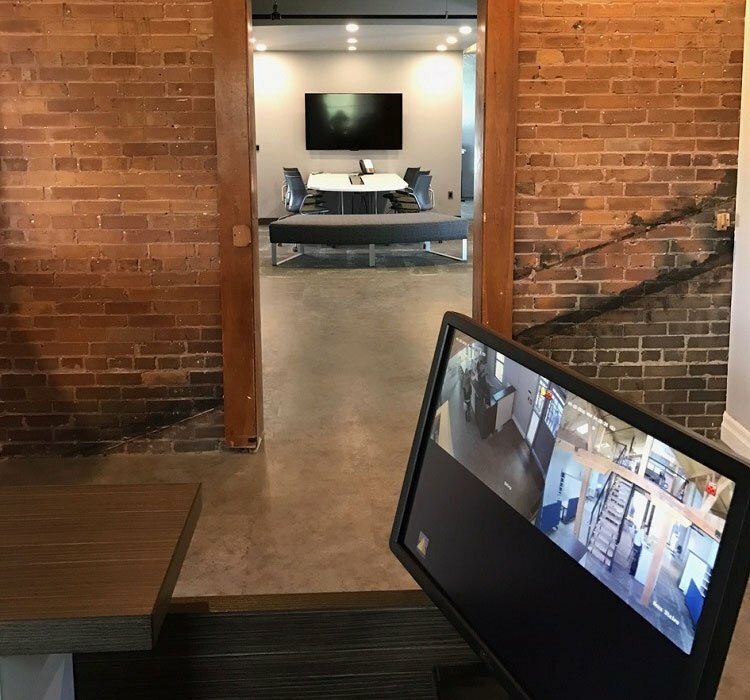 When Verto360 first sat down with S2E Technologies to talk about their space, they conveyed how important it was to have a space that supports sustainability. S2E Technologies specializes in large-scale sustainable solutions for communities and focuses on strategies to achieve net zero energy and water consumption, electric vehicle readiness, and smart grid infrastructure. So naturally, it was very important that their space reflects those values. Verto360 was tasked with producing a retail and office space within an historic modified flour mill. S2E Technologies required a larger adaptive space that could accommodate future growth that also reflected their environmental commitment. 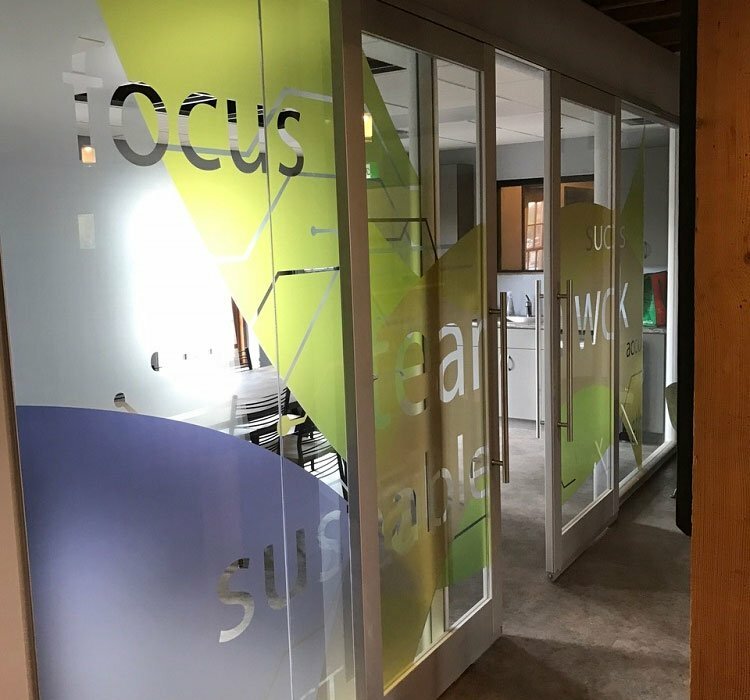 Verto360’s solution began with DIRTT walls ensuring lots of glass was used to take advantage of the streams of natural light in the space, not to mention, highlight their view of the Grand River! Integrated touchscreen technology, and write away surfaces were installed to support inter-office collaboration. Having a flexible workplace was another important feature that S2E wanted to incorporate into their office. Collaborative activity spaces, focused independent work areas and café-style spaces that encourage innovation, creativity and socializing were implemented to adapt to all working styles. Because sustainability and the environment are such important parts of S2E Technologies’ brand and ideals, they loved the idea of having a little piece of the environment in their office. Verto360 designed and installed a DIRTT Breathe Wall in the front entry. As a focal point in the reception area, the Breathe Wall improves indoor air quality and can contribute to energy savings, while reinforcing their workplace culture and values. Of course, once the walls were up, S2E needed furniture to fill the space; Verto360 turned to Knoll, Group LaCasse, and Nightingale. When deciding on furniture, the ergonomic features and environmental factors were very important. 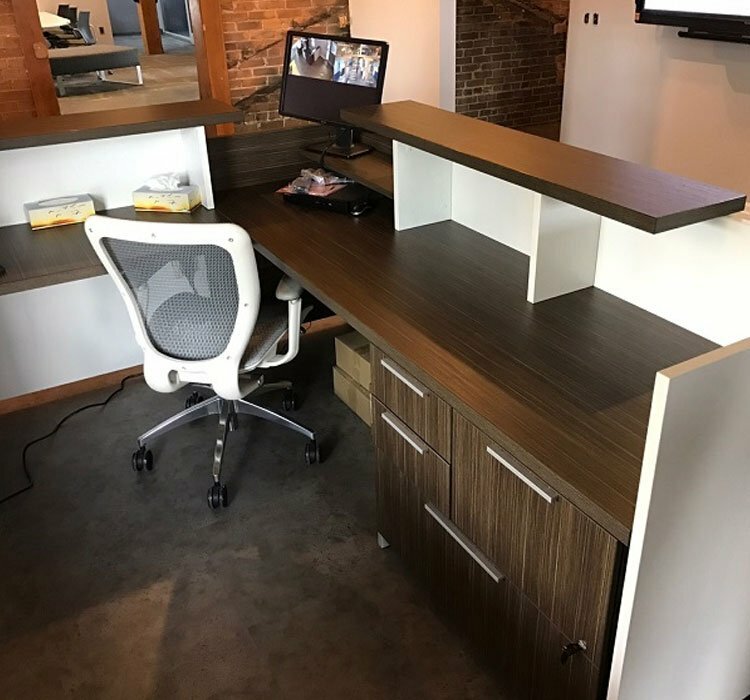 All three manufacturers offer ergonomic features that support employee well-being. Additionally, each manufacturer has strong environmental commitments, which align with S2E’s standards. 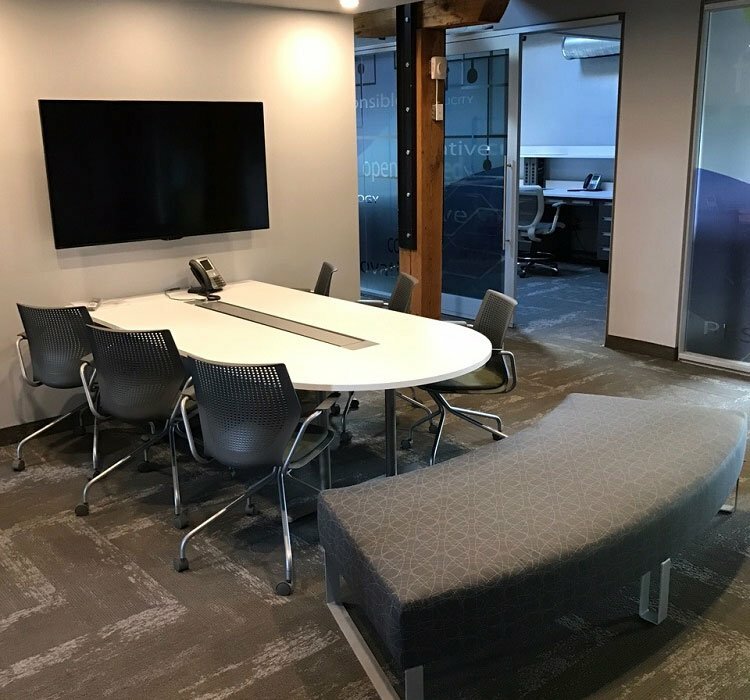 The space was outfitted with Knoll Template and Antenna work stations, Nightingale task seating, and Groupe LaCasse soft seating, boardroom furniture, reception desk & case goods. This sustainable and flexible space was brought to life through much planning, careful selection and collaboration between S2E Technologies and the Verto360 team.